Linda Esco, affectionately known as, Gran went home to be with her Lord and Savior on February 4, 2019. 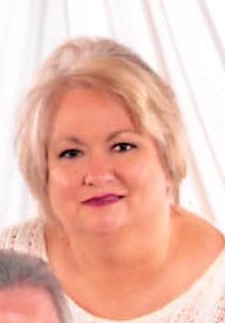 Linda was a member of Gardendale Church of God and frequently visited Solid Rock Church in Pinson. She was a native of Bessemer, AL. Linda was passionate about her faith and serving her Lord. She loved spending time with her family, especially her grandchildren. She was employed as a Property Manager and served as a Pastor's wife for over 30 years. She was preceded in death by her father, Climmie Marrey , mother, Elizabeth Blum and brother, Jimmy Maharrey. She is survived by her loving husband of 38 years, David Esco; children, Charlotte Millican (Don), David Esco, II (Jama), Amanda Long and Sara Long; sister, Mary Glasscock; brother, Dennis Maharrey; step-father, Clifton Blum; four grandchildren, Cora Millican, Rhys Millican, Aidon Esco and Emerson Sherer; numerous nieces and nephews. Visitation will be held at Solid Rock Church in Pinson on Thursday, February 7th from 5PM-7PM. The funeral service will be held on Friday, February 8th at Solid Rock Church at 2PM. Burial will immediately follow at Jefferson Memorial Gardens in Trussville. Pastor Paul Lett is officiating.